"Black Bear swimming across the Pigeon River"
I caught this guy swimming across the river just upstream from the mouth today while kayaking on the river. This was the third time I've seen a bear swimming across the river! 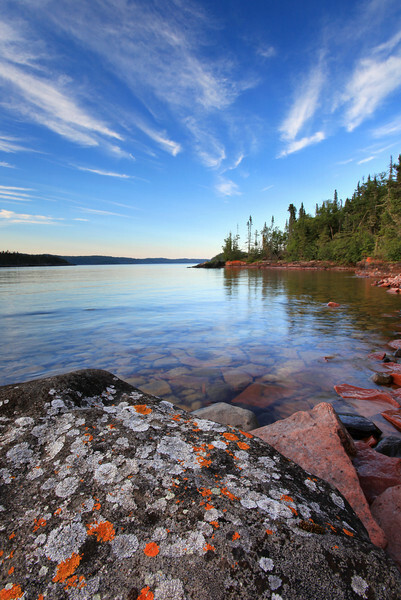 "Lovely summer day on Lucille Island"
Today Lake Superior displayed an incredibly calm mood that is rarely seen. I couldn't pass up the opportunity the lake was presenting, so I headed out in my boat and spent the day photographing and exploring the islands that are near my home. In the afternoon some really nice clouds started to show up. 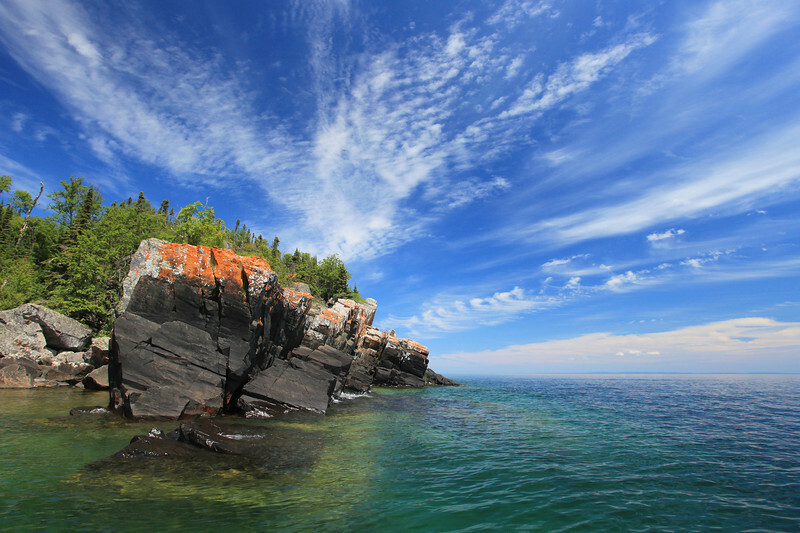 Adding a polarizer filter to my lens really helped to accent the clouds as well as cut the glare from the water, so the shallow rocks and reefs could really show up in the images. It was an incredible day to be on the water! 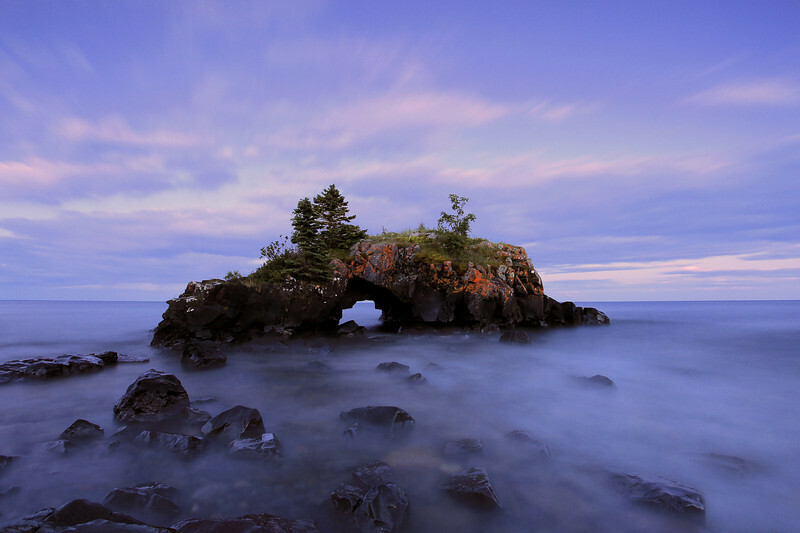 Little Brick Island - Grand Portage, MN. We had really nice clouds the whole evening, which made it one of the most enjoyable photography outings I've ever had to the Susie Islands. The sun was at my back and behind the clouds when I made this image, which meant that the foreground was very dark. I used my Singh-Ray 3-stop reverse-grad neutral-density filter to help balance the exposure. I got some nice images of the sunset as well on this outing, but this is my favorite image of the day. This was taken about an hour before sunset. 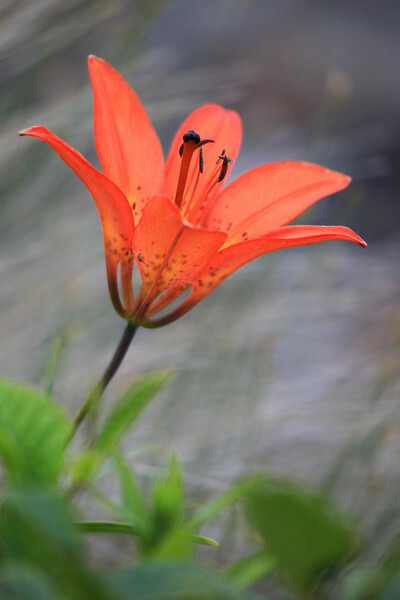 My dad told me about these nice Wood Lilies that were blooming on the shoreline in front of their house... of course I had to check them out! I intentionally shot this "wide open" (aperture f5.6 at 400mm) with my Canon 100-400 lens to create a shallow depth of field and give the image a "dreamy” look. "Summer's Eve at Hollow Rock"
This is the first image I've made at Hollow Rock in quite some time. Hollow Rock is one of my favorite places to photograph in winter, but for some reason I don't go there much in the summer. I don't know why, since it is a great place to shoot no matter what the season. At any rate, this image was made at 9:37 p.m. It is a 30 second exposure shot with the aid of a 3-stop reverse-graduated neutral-density filter. The hardest part about making this image was tolerating the mosquitoes. They were AWFUL! "Morning Harebells at the Spirit Tree"
Sometimes it pays to force yourself to try something different. On a recent sunrise shoot at the Spirit Tree, I used only my Canon G11 point-and-shoot camera and not my usual "big" camera - the Canon EOS 5D Mark II. Using the G11 forces me to look for different compositions, something more “unique” than the typical landscape shots that I tend to look for when using the Canon 5D Mark II camera. 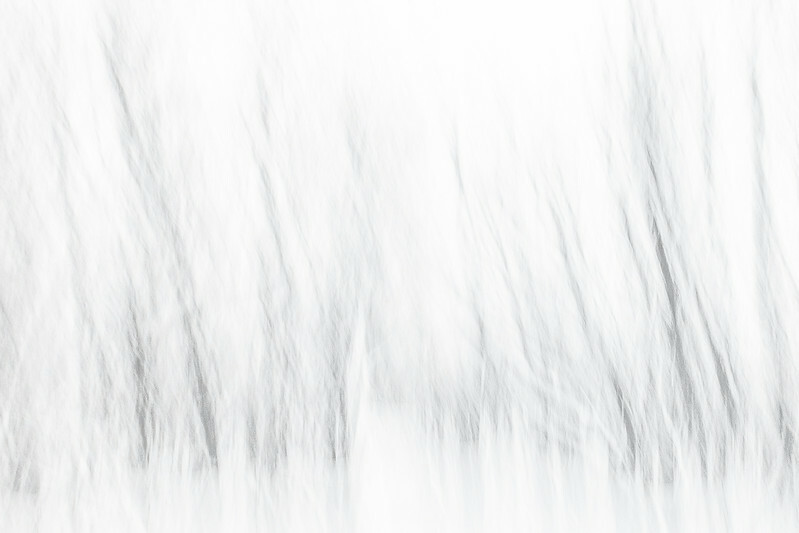 This image is the result of that morning’s search for something different. 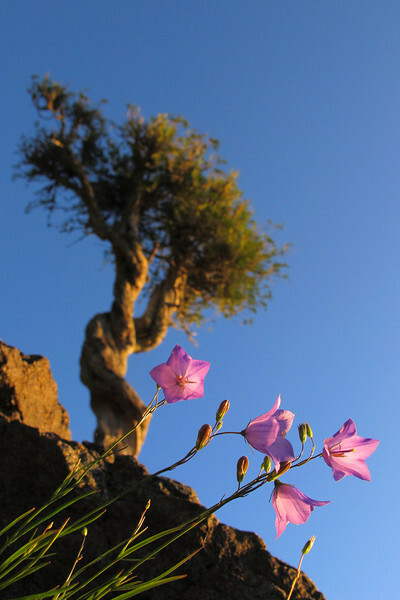 I always notice the Harebell flowers when visiting the tree in the summer, yet I’ve never before tried making an image that shows both the flowers and the tree. The G11 with its rotating viewfinder screen allowed me to make this image. Since the flowers were on the side of a rock and very close to the surface of the water, I don’t think I would have been able to compose this shot using my bigger camera. 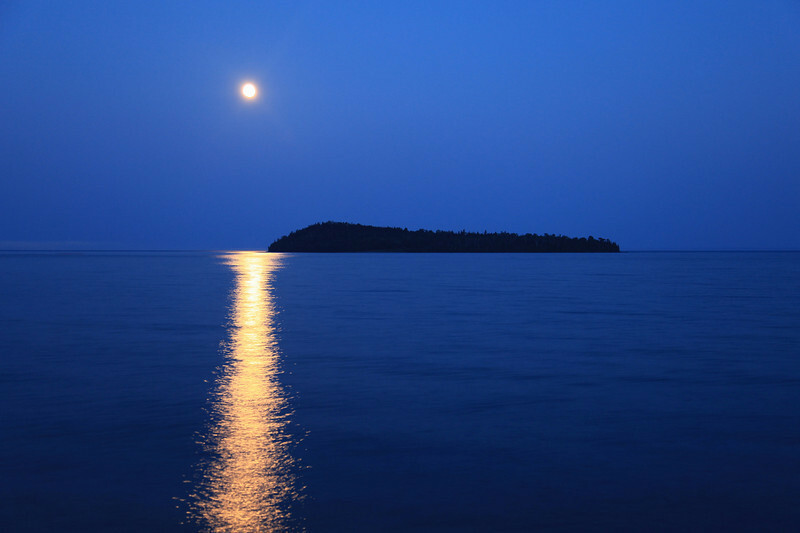 "July moon over Pete's Island"
The moon over Grand Portage Bay last night was incredible. The image you see here was captured not long after sunset, after the last of the sunset color has faded from the sky and all that is left is the blue glow of dusk. I love shooting the moon when its low in the sky, as you can usually capture an incredible reflection of the moonlight on the water. I hope you all had a chance to see the moon last night. If not, well… it will be out again tonight! My favorite place to paddle! I love the Pigeon River... especially when it is calm like it was the evening that I made this image. 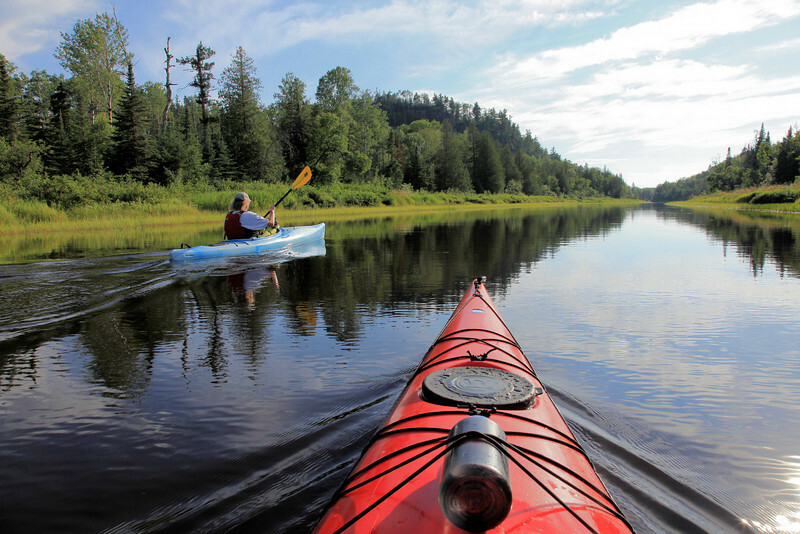 The upper Pigeon River is a wildlife paradise. Every time I venture out on the river I see at least a few different critters. Beavers are almost guaranteed, as are a few different species of waterfowl. Kingfishers are sometimes seen patrolling the banks of the river, and now and then a Moose or two will show up. 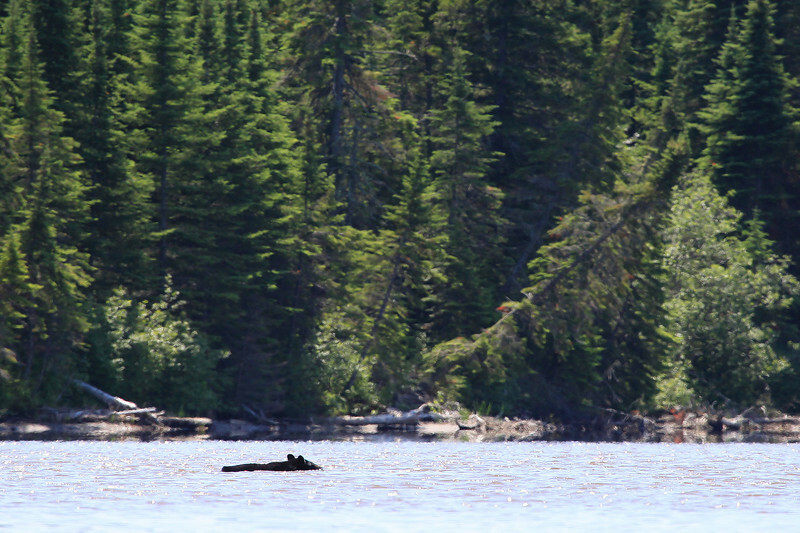 I’ve even been lucky enough on more than one occasion to see a Black Bear swimming across the river! Oh, I almost forgot to mention the Otters and Muskrats! Muskrats are seldom seen, but I almost always see at least one Otter when I visit the river. I’m heading up now to spend the late afternoon and evening on the river… I wonder what I will see today?